LASIK, an acronym for laser in situ keratomileusis, is a procedure for correcting nearsightedness, farsightedness and astigmatism. In LASIK surgery, an ophthalmologist cuts a flap in the surface of the cornea in order to reach the middle of the eye’s natural lens. The lens is then reshaped by the laser to correct or improve the patient’s vision. LASIK surgery is performed using excimer lasers, which combine a noble gas, such as argon, krypton or xenon, with a reactive gas (usually fluorine or chlorine) under high pressure and in the presence of electrical stimulation to create a pseudo-molecule called an excimer. The excimer exists only in an energized state, in which it emits ultraviolet laser light. When ultraviolet light from an excimer laser is absorbed by biological matter, molecular bonds of surface tissues are disrupted, ablating the tissue in an extremely controlled manner. This enables clean and precise removal of ultra-fine layers of material without damaging the rest of the tissue. Three different types of excimer lasers are used for LASIK surgery: Slit scanning lasers have uniform beams that produce smooth ablations. However, they are somewhat prone to overcorrection. The most commonly used lasers for LASIK surgery are spot scanning lasers, which scan small diameter beams across the cornea to produce an ablation zone. Spot scanning lasers produce the smoothest ablations as well as custom ablations for irregular astigmatism. Wavefront-guided lasers integrate devices that detect and map defects in the optical system of the eye based on how light waves travel through, and which enable custom reshaping of the cornea. Both slit scanning and spot scanning lasers can be used with wavefront guiding devices. 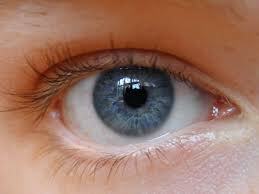 Most LASIK lasers today include automated eye tracking systems to ensure that the laser stays targeted. Excimer lasers that are FDA-approved for LASIK surgery include Alcon LADARVision and CustomCornea systems for treating nearsightedness, farsightedness and astigmatism; Bausch + Lomb’s Technolas Zyoptic lasers, which include wavefront guidance devices and can be used with the Advanced Control Eyetracking (ACE) eye tracking system; Carl Zeiss Meditec for treatment of nearsightedness with or without astigmatism; Nidek systems; Visx Star and WaveFront system; and WaveLight Allegretto Wave.